Specializing in homes for sale throughout the Hudson Valley and Catskills region. Our home town agents specialize in homes for sale and commercial real estate throughout the Hudson Valley and Catskills region. 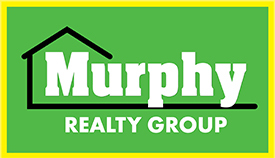 Murphy Realty Group began as a small boutique style real estate office located in Historic Uptown Kingston, just about 90 minutes north of NYC. Today, we have grown to be the #1 selling office (2015, 2016, 2017, 2018) in the Hudson Valley Catskill Region MLS for the total amount of properties sold! While it is true that the Ulster County and surrounding Hudson Valley real estate markets provides some of the best residential and commercial real estate investment opportunities in New York State, the area charm holds another type of value. Being just a quick two hours north of New York City, the Hudson Valley area has recently become the favored destination of New Yorkers seeking change-of-life that is slower, comfortable and naturally scenic. Locals that have grown up here love it too. Native residents are active in their schools and neighborhoods continually demonstrating pride in their respective communities. With all of the country charm and tight-knit community feel, it is easy to forget the financial value that comes as an added benefit of buying a home in the Hudson Valley and Ulster County Real Estate markets. Ulster County and the surrounding Hudson Valley areas present a perfect mix of bucolic settings with the convenience of modern amenities and culture. Country homes in wooded backgrounds, Hudson River front properties or well-appointed mountain retreats, are just a few of the property types that are available to be shown. The selection of homes is so diverse it can easily appeal to any taste or style. To see more property types click here. Our website features every listing available within the Ulster County MLS in an easy-to-use online database that's updated several times a day, ensuring that you have the most up-to-date information. MurphyRealtyGrp.com has the most robust MLS search features allowing you to customize your search, save your favorite Ulster County homes for sale via bookmarking, inquire to view properties online, and even view properties on your mobile phone. We have spent countless hours preparing our agents to provide accurate information when you need it. After viewing properties online, get your favorites list, and send us an email to take the next step in your home search.